How to conduct QR code online shopping using MobiBizs? If you want to start your QR online sites business,How to build your mobile store and online shopping service? 1. DM: Let customers can make direct purchase by scanning QR code printed on promotional DM. 2. Product Package: Enhance customer’s repurchase rate, and encourage them to share with friends. 3. Merchandise wall in physical store: If customer can’t decide whether to buy at the store, they still can buy the product after leaving the store using the scan records. 4. 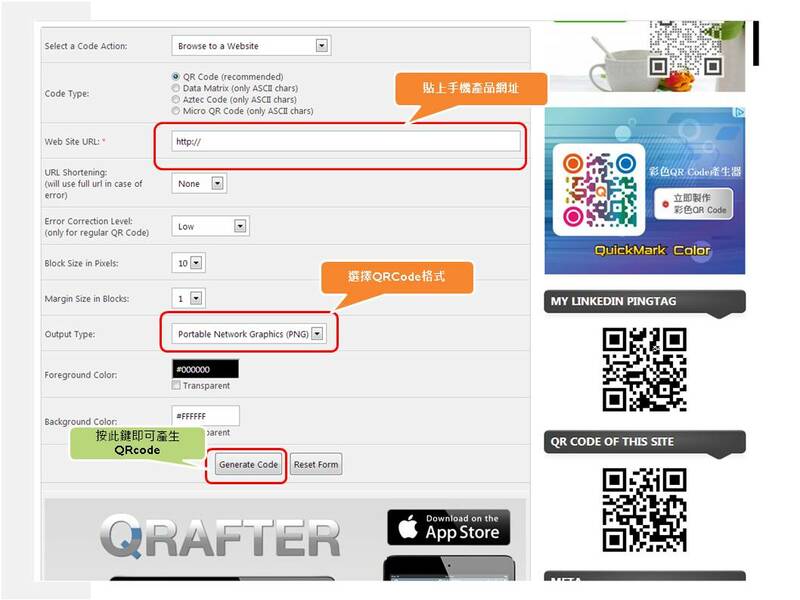 Catalog: Key products can be particularly attached with QR code, providing more information to customers. 5. Significant Publications (sign board, uniform): Impress customer and transfer product information by using interesting printed material. Listed above are practical applications of QR code online mobile shopping. Besides shopping use, QR code can also be used in interacting with customers, sending message, or providing operational manuals. How to build your sites store and start mobile shopping service? STEP3: Select the template and main color of your website. STEP4: Upload product information and set mobile payment information. STEP5: Generate QR code of your website, and you can start to promote your product and online mobile shopping!